David Sterenfeld began his career as a recruiter 28 years ago and became Principal of his own recruiting firm, Corporate Dynamix in 1992. Born and raised in New York, David is a graduate of Purdue University with a B.S. degree in Management from the Krannert School of Management. In 1980, David moved to California to enter the Technology field. For 10 years, David was Regional Director for Victor Technologies, responsible for the sale of PC’s and POS systems to end users and Channel partners in the West. From there it was a natural progression to take his intimate knowledge of the computer industry and the Western region and offer his services to client companies and prospective candidates as a recruiter. In 1989, David joined a California search firm and successfully established their Pacific Northwest and No. California technology practices, before leaving to establish Corporate Dynamix. 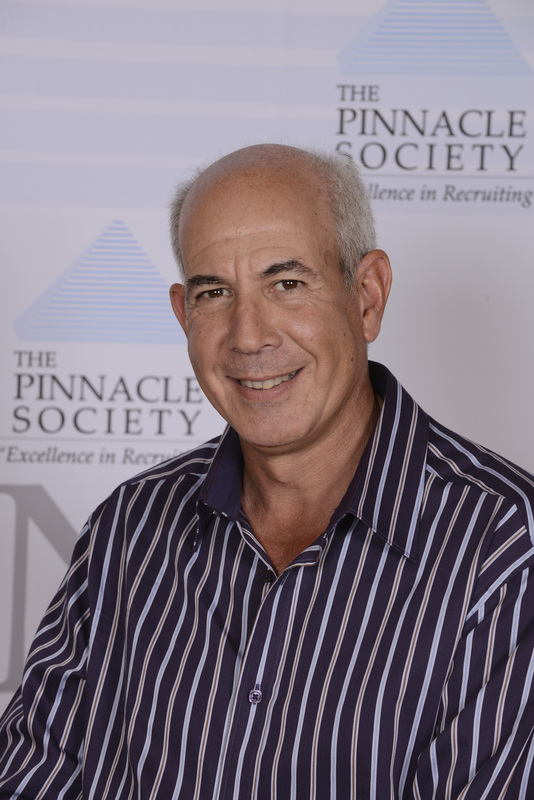 In 2002, David was selected for membership in The Pinnacle Society, the nation’s premier consortium of the top 75 recruiters within the direct placement and search industry. The Pinnacle Society is an elite organization of individuals whose purpose is to serve as an honor society recognizing high volume producers, and as an educational forum for the sharing of information and ideas with regard to said industries. David is also a member of the National Association of Personnel Services (NAPS) and the American Association of Inside Sales Professionals (AA-ISP). David’s sole specialty is in Technology recruiting with a focus on Enterprise and web-based Software. He only recruits Sales/Sales Management Executives in the 12 Western states. Start-ups with emerging technologies as well as medium to large Software, Services and Hardware companies are David’s area of expertise. Many of his placements have been with Fortune 500’s and industry giants and frequently involve stock-compensation agreements. Throughout his career, David has successfully placed more than 1800 candidates in the Western U.S.
David believes an outstanding recruiter must provide outstanding service to both employer and candidate, through an in-depth understanding of the employer’s products, needs and corporate culture; careful screening of each candidate’s credentials, background and references; a precise pairing of the right candidate to the right position; clear and concise communication to the employer of the candidate’s strengths and weaknesses; and persistent follow-up throughout the search process. “This is a service business“ says David, “and I have to bring exceptional value to everything I do for my clients and candidates.” David prides himself on the multiple placements he has done with many of the largest technology firms in the nation. As sole proprietor of Corporate Dynamix, he brings a very personal approach to working with every candidate and has helped manage the careers of many job-seekers beginning with their first job. He is recognized by his peers and clients as an expert in his field and has been interviewed by Business Week, and The Wall Street Journal. David is also referenced by The Recruiting Lab in their series, The 15 Critical Habits of Highly Effective Recruiters and in the book, Sales 2.0: Improve Business Results Using Innovative Sales Practices and Technology. David was a speaker at the Silicon Valley Telebusiness Alliance on the topic “Choosing a Search Partner,” which he delivered to the top 100 inside sales managers of various software organizations. David relocated from California to Scottsdale, Arizona 19 years ago. He is happily married, enjoys weekly golf games year-round plus a variety of other sports, and is busy co-parenting 3 children. Brian Mahoney began his career as an IT recruiter in 1983. He had joined an executive search firm based in New Jersey where he was hired to build and expand the entire Southeast Region for the company. He grew the region 100% year after year, and was promoted to Regional Sales Manager, hiring and overseeing a team of 5 recruiters. Brian consistently won New Business Manager of the Year and became their top producing Regional Manager. In 1991, Brian established his own search firm – Management Decision Systems, Inc. (MDSI) – which he co-founded with partners Richard Deakmann, Victor Delray and Angelo Messina. MDSI’s area of expertise is Sales, Sales management, and Pre-sales recruitment within the Software Industry. Brian has a specific role as Southeast Regional Director and actively recruits in the 10 Southeastern and Mid Atlantic states focusing on Technology recruiting with an emphasis on Enterprise and web-based Software. He also covers the federal and commercial markets across Washington D.C. and recruits for Hardware, Networking and Consulting companies as well. Brian succeeds due to his strong work ethic and his ability to build relationships with both the candidates and the hiring managers within his territory. His relationships continue for years, and with each candidate he works with, his personal approach and his ability to help manage their careers has been a key factor. Brian has been recognized by his peers and clients in various trade articles, newspapers, and radio stations in the Metro New York City area. He returns regularly to his Alma Mater to coach graduating students regarding interview strategies and techniques. Brian is an accomplished tri-athlete, long distance cyclist and a 20 year member of the Daiwa Pro Staff Fishing Team. He coordinates the largest fishing outing for the disabled on the East Coast. Brian also serves as a Coach to a championship travel baseball team based in Park Ridge, New Jersey, where he resides with his wife and four children. Brian was a Sergeant in the United States Marine Corps and graduated from Pace University in 1982 with a Bachelors Business Administration in Marketing. Rich Deakmann is a founding partner of Management Decisions Systems, Inc. He graduated from Pace University in New York City in May, 1985 and entered the recruiting field in June, 1985. From 1986 until present his entire focus has been spent on recruiting the best Sales, Sales management and Pre-sales people in the Chicago marketplace. His contacts are extensive, going back to the early days of enterprise software. Having recruited through several generations of the technology era, Rich’s knowledge and understanding of the business is unrivaled. From the rise of Oracle in the late 1980’s, the “internet bubble” era, and the current boom in the cloud computing arena – Rich Deakmann has recruited through it all. Rich only places people that live in the Chicagoland area. That specialization makes him the “go to” guy for many of the world’s most successful Technology companies. When there is a need in the Midwest, you call Rich Deakmann. Victor Delray is a founding partner of Management Decisions Systems, Inc. He brings over 25 years recruiting expertise specializing in placing Sales, Sales management, and technical Pre-sales professionals in the Technology industry. His specific territory is the Southwest, primarily Texas. Victor recruits in the states of Texas, Oklahoma, Louisiana, Missouri, Nebraska, Kansas, Iowa, Arkansas plus North and South Dakota. Victor credits his success as a recruiter to the simple philosophy of having the best applicants for the best opportunities and vice versa. He feels he has excelled by truly listening to the needs of the applicants and by carefully matching them to the needs of the companies he recruits for. “I enjoy having live conversations and getting to know my applicants and hiring managers.” says Victor. “The end result is truly having long term relationships and not just making placements.” Having known and worked with his business partners at MDSI and Corporate Dynamix for 20+ years has laid the foundation for a crisp and efficient flow of critical information. Happily married for 17 years with 3 sons, Victor volunteers his time to coach basketball, baseball and soccer for his boys. He enjoys participating in life and not watching from the stands. Victor has completed the New York City Marathon seven times, still participates in triathlons and recently completed two 1/2-Ironmans. He states, “I only know one thing and that is to finish what you start.” Victor graduated with Honors from Baruch College with a BBA in Business Administration. Angelo Messina, a founding partner and Northeast Regional Director of Management Decision Systems, Inc. has over 25 years experience specializing in recruitment of Sales, Sales Management and Pre-sales professionals exclusively in the computer Software, Hardware and Services industry. He focuses his talents in the Northeastern territory, specifically the tri-state area of NY, NJ and CT as well as Eastern Pennsylvania. Angelo is passionate about his work and committed to his client’s success. He is one of the leading executive recruiters in his field today with a loyal client base and extensive professional network. He has longstanding relationships with venture-backed as well as established corporations in the Technology industry. Due to his high level of professionalism, he has many references in all areas. Angelo is a graduate of Baruch College with a Bachelor of Science in Computers and Statistics. In his spare time you will find Angelo spending time with his wife and four children. He is an avid golfer and an accomplished tri-athlete. Joe Mahoney joined Management Decisions Systems, Inc. in 1993. For over 20 years, Joe has specialized in the recruitment of Sales, Sales Management and Pre-sales professionals exclusively in the computer Software, Hardware and Services industry. His territory focus includes New England (Boston & Hartford), Upstate New York, and all of Canada (Toronto, Montreal, Ottawa, Calgary, and Vancouver). Joe’s professionalism, industry knowledge, and extensive network have resulted in hundreds of quality placements over the past two decades. Joe is a graduate of Richard Stockton State College in Pomona, New Jersey with a BA degree in Business Administration – concentration in Finance. While at Stockton, Joe was the co-founder and member of the Stockton golf team and President of the Intramural Recreation Council. Joe currently works as a volunteer for Lance Armstrong’s LiveSTRONG Foundation as a Special Events consultant for the Northeast. Joe is an avid triathlon competitor and distance runner having completed six marathons, including Boston, New York City, and Chicago. Other interests include golf, volleyball, reading, as well as coaching springboard diving and softball. Joe resides in Park Ridge, New Jersey with his wife and two children. Tom Cepalia began his career as an IT recruiter in 1988. He had joined an executive search firm based in New Jersey where he was hired to build and expand the Mid-West Region for the company. He attained over 100% of quota every year and opened many new accounts in the software industry. In 1993, Tom joined Management Decisions Systems, Inc. His territory spans from Western Pennsylvania to Minnesota and he focuses on Technology recruiting with an emphasis on Enterprise and web-based Software. Tom has recruited for Hardware, Networking and Consulting companies as well. Tom has been highly successful due to his ability to build and maintain relationships with both candidates and hiring managers. With 20+ years of experience covering the Upper Mid-West, his relationships have continued for years. Tom graduated from Marist College in 1988 with a Bachelor of Science in Marketing and was co-captain of the Marist Ski Team. Tom resides in Park Ridge, New Jersey with his wife and three children.